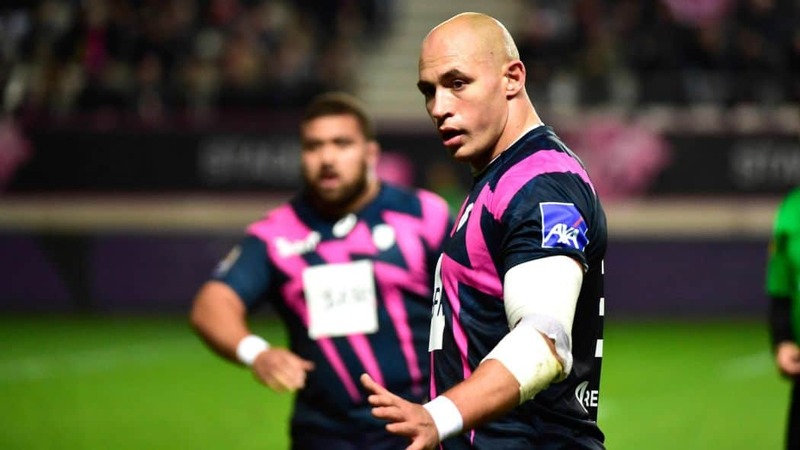 Stade Francais got their season off to a perfect start this weekend under their new coaching ticket that features former Springbok coach Heyneke Meyer, Paul O’Connell and Mike Prendergast. The Parisian side put 46 points past Paddy Jackson’s Perpigan in a comfortable 46-15 win on the opening day of the Top 14 season. Jackson bagged a try on his competitive debut, but it turned out to be nothing more than a consolation in the end. But the huge talking point from the game saw Stade captain Sergio Parisse red-carded for doing nothing more than standing his ground after taking a high ball. Parissse was deemed to have used his shoulder on his opponent, but in no way did it seem intentional. If anything it was poor tackling technique that cased the collision. Have a look for yourself below.